To download more information about Nido Qubein's speaking, click here. Nido Qubein is a keynote speaker, seminar leader, corporate consultant, successful businessman, and author of many books and multimedia learning systems. He is a high-energy performer who will inform, entertain, and inspire your group. He always provides high-content, take-home value through carefully customized presentations designed to meet each client's specific needs. 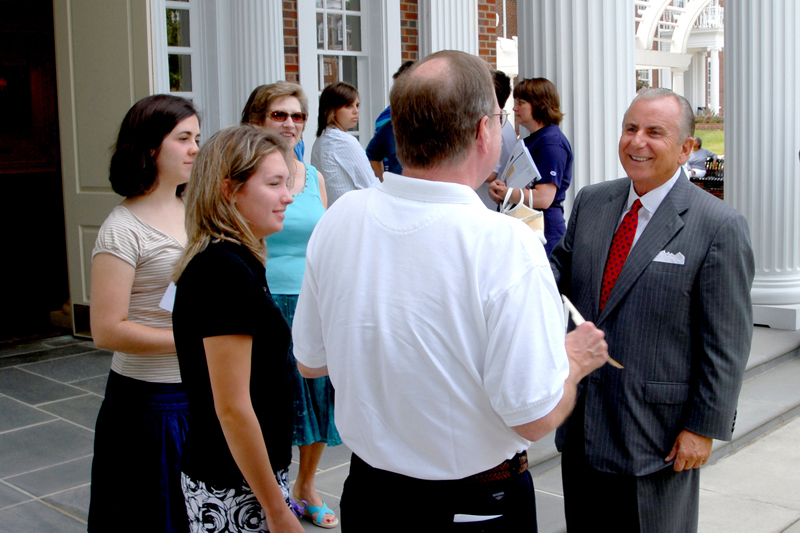 Nido Qubein doesn't just talk business, he lives it. As a "business insider" with extensive boardroom exposure, he's in touch with the challenges confronting you and your people every day. He is able to share through experience what works, what doesn't, and why. He not only shows people what to do but also, more importantly, teaches them how to think. If you want a professional who offers consistent excellence, who has a global outlook, and who approaches learning from an integrated perspective, then call on Nido Qubein for your next conference. For more information about Nido Qubein's keynotes, seminars, products, and availability, please contact us. There are many so-called professional speakers on the circuit today. I am pleased to say that Nido is in a very distinguished class and that we will invite him back soon.